Desert Cities Bird Club ▪ 70065 Sonora Road #267 ▪ Mountain Center, Ca 92561 ▪ (760) 349-3515 Let us know of interesting bird sightings, upcoming events, and other birding news! Welcome to the Desert Cities Bird Club! We cover the fantastic birding areas in and around the Coachella Valley of Southern California. to prevent the extirpation of the frog from the San Jacinto mountains. subsequent flash floods and last year's drought. There are many benefits to joining the Western Field Ornithologists. a tree has been infested. For now, prevention is the best option. larvae which will infect other trees once they emerge. be chosen. When we moved to Idyllwild, it was one of the first birds that I discovered. each Fall. They they will together defend their cache against potential thieves. I noticed that their “granary” tree is usually right next to an oak tree. Quite convenient! They are awesome birds to watch! to the newsletters please feel free to contact any of us. We also have a blogspot where we hope to post the newsletters and any other events that come up in-between issues. It is www.dcbc.blogspot.com. young birds are making their very first southerly migration and have a tendency to “get lost”! ask him – he’s a real condor-aficionado! side by side. The bottom line is you need to look at all “Sage–type” sparrows a lot more carefully now. Consult your National Geographic field guide for details. This 31,000 acre riparian preserve is located between Joshua Tree National park and the San Bernardino Mountains. Over 247 bird species have been recorded here. It is officially recognized as an Important Bird Area and a Watchable Wildlife Site. 2,826 acres of riparian habitat surrounded by the San Gorgonio Wilderness. The preserve is situated in Whitewater Canyon and provides an important wildlife corridor between the San Bernardino Mts and Joshua Tree National Park. palm groves, sand dunes and canyons. birds find refuge in this beautiful place. This non-profit center opened in 1995 with a mission to rehabilitate injured and orphaned birds with the ultimate goal to release them back in to the wild. Artificial wetlands and interconnecting ponds provide special habitat. Bird Walks are held the first Saturday of each month. Bonus: Cinnamon rolls after walk! Bonus: Cinnamon rolls after walk! give tips on taking better photos. To sign up, you must first be enrolled as a College of the Desert student. It runs 3 consecutive Thursdays and includes 2 Saturday field trips. holding its annual birding festival. Dec 14 – Jan 5, birdwatchers will submit their findings to the National Audubon Society. Check for groups you can join at http://www.sbvas.org/ Events will be posted in November. Oct 25 – 27. It begins Friday at 7pm, and ends Sunday at 1pm. our search for Fall migrants and year round residents. Birds of the Mojave Desert is a weekend birding course at the Desert Studies Center ZZYZX near the town of Baker. The 14,000 acre Bittercreek National Wildlife Refuge is located 10 miles west of Maricopa. The refuge is usually closed to the public so this is a great opportunity to view the condors with an expert. Joseph Brandt, California Condor biologist will lead the viewing and discussion of the reintroduction program. with newsletter costs as well as special donations. the US visit this special place. Optics4birding store is a good place to start. the DCBC newletter this past year! Is the solution in your feeder cloudy or yellow? watching. It is a layman's invitation to share an unlikely obsession. smoldering fires and trails that no longer exist. The Great Backyard Bird Count will take place from February 15-18, 2013. To join in all you need is a pair of binoculars and 15 minutes of your time. Visit birdsource.org/gbbc or birdcount.org to view the online bird guide and download a regional checklist. After you've done your counting you can upload your sightings to the website. Thanks for participating! The San Bernardino Valley Audubon Society and the Desert Cities Bird Club are linking up in the Coachella Valley on Tuesday, February 12, 2013. Brad Singer will speak on the topic of "Birding Hotspots in the Inland Empire". The program is free and open to the public and will be held at the Palm Springs Public Library from 6-7:30pm. Big Morongo Canyon Preserve will hold its annual Christmas Bird Count on Saturday, December 15, 2012 starting at 7:30am and continuing through the afternoon. Join a team of birders and help us out! To participate or for more information call Betty Zeller at 760-363-7190. Hope to see you there. There is a Tricolored Heron at Salt Creek today, North End of the Salton Sea (NESS). The Purple Martins (adults with young) continue to be seen in Garner Valley - along Highway 74 on the left just after the turnoff to Lake Hemet and just before the turnoff to Hurkey Creek Campground. As you drive along Hwy. 74, look for a tall, dead, snag with holes near the top. Park at the Lake Hemet Road (NOT the Lake Hemet store) turnoff and carefully walk up Hwy. 74 toward Hurkey Creek Campground less than one tenth of a mile. Western Bluebirds were seen flying over the Living Desert today. Evidence of Common Poorwill found in a Palm Desert and a Barstow backyard this week. They may be on the move. Desert Cities Bird Club is on Facebook! Get Out and Bird! Regularly Scheduled Area Birdwalks Big Morongo Canyon Preserve: bird & nature walks on Weds and Sats (7:00 a.m. Apr-Sept; 8:00 a.m. Oct – Mar) except none the first Sat of any month and no Sats at all in Sept. 11055 East Drive, Morongo Valley, CA. (760) 363-7190. www.bigmorongo.org Coachella Valley Preserve Most first three Thurs 7:45 a.m. Sept thru Apr. 29200 Thousand Palms Canyon Rd, Thousand Palms, CA. For schedule call (760) 343-2733 or check website. www.coachellavalleypreserve.org Coachella Valley Wild Bird Center has a birdwalk on the first Sat of each month (Oct.-May) from 8:00-10:00 a.m. 46500 Van Buren St., Indio, CA. (760) 347-2647. www.coachellavalleywildbirdcenter.org The Living Desert has members-only birdwalks on the second Thurs of each month. Oct - May. Meet at the admissions gate at 7:30 a.m. for early admission. 47900 Portola Ave, Palm Desert, CA. (760) 346-5694 ext 82506. www.livingdesert.org Whitewater Preserve Every second and fourth Tues. 8:00 a.m. all year. 9160 Whitewater Canyon Rd, Whitewater, CA. www.wildlandsconservancy.org/preserve_white water.html (760) 325-7222. Fall Bird Classes Gearing Up There are several classes in the offing aimed at area birders. All are taught by Kurt Leuschner of College of the Desert. The Birds of Joshua Tree National Park—Sept 21-23, Joshua Tree National Park. Contact the Desert Institute at (760) 367-5535 for details. Birds of the Mojave Desert—Natural History & Conservation. Oct 12-14, Desert Studies Center at Zzyzx. Contact UCR Extension at (800) 442-4990 for particulars. Birds of Anza-Borrego—Oct 26-28, Anza-Borrego Desert State Park. Call UCR Extension at (800) 442-4990 for more information. The Fall newsletter is out! The Fall (Sept-Dec 2012) issue of "I'd Rather Be Birding", the newsletter of the Desert Cities Bird Club, has been published. If you'd like to receive a copy and/or join the Desert Cities Bird Club leave your email address as a comment to this post. Happy Birding! Sunnylands (part of the Annenberg estate) in Rancho Mirage, CA is now open to the public. Check out their website at www.sunnylands.org Free birdwalks are usually led by Kurt Leuschner and the next three are scheduled for Oct. 12, Oct. 26, and Nov. 9, 2012. All fridays, starting at 9:15am and lasting about one hour. Hope to see you there! Central Valley Birding Symposium November 15-18, 2012 Stockton, California - Stockton Hilton www.cvbs.org There will be great workshops, speakers, field trips, and more at this annual event. 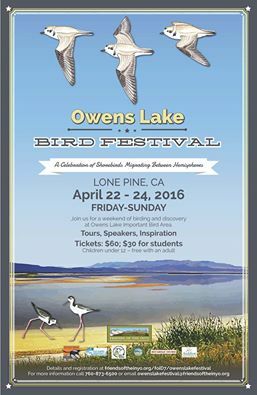 If you are into birds and birding you should try to attend! After many years/decades of absence, Purple Martins are being seen again in Garner Valley near the bridge at the turnoff to Lake Hemet. Look for a dead snag with a hole or two in the top. Nesting is suspected but has not been confirmed yet. We hope they will stay and continue to return every year like they used to. The Desert Cities Bird Club now has a facebook page. Check it out and be sure to like us! Our next newsletter will be out soon! The Desert Cities Bird Club's "I'd Rather Be Birding" newsletter has a new editor and a new look. We also will be producing three issues per year, starting September 1, 2012. Watch for it! And if you haven't signed up yet, join our mailing list so you can stay informed about all of the birding activities in and around the Coachella Valley. On Friday, May 4, from 7am-4pm, the Friends of the Desert Mountains will be sponsoring a birding bus tour. The cost is $50 per person. A student price is also available. We'll be travelling by luxury coach to the Big Morongo Canyon Preserve, the Coachella Valley Wild Bird Center, and the Salton Sea State Recreation Area in search of a minimum of 100 bird species. Your leader will be Kurt Leuschner. Proceeds will benefit the Friends of the Desert Mountains and bird conservation projects in the Coachella Valley. Come on out, have some fun, and support the birds! Snacks and water will be provided but bring your own lunch/drinks and plan for an exciting day of birding. To sign up call Tammy @ 760-568-9918. What is it? A friendly 24-hour birding competition/fundraiser to support Friends of the Desert Mountains to provide habitat for birds in the Coachella Valley. What happens? Individuals or Teams compete to identify as many bird species as they can in a 24-hour period by sight or by sound in the four counties included in the Palms to Pines Birding and Nature Trail: Riverside, San Bernardino, Imperial, and San Diego. ABA “Big Day” rules apply. Awards Presentation: The winning trophy will be presented at 10: 00 a.m. on Sunday, April 24, at the Santa Rosa and San Jacinto Mountains National Monument Visitor Center. Fun for all ages! Novice or experienced bird watchers are encouraged to participate. There will be children’s activities going on at various locations. More details? Contact Tammy Martin at the Friends of the Desert Mountains office at (760) 568-9918 or email at tmartin@desertmountains.org. The second annual Earth Day Birding Challenge is April 23rd! April 23 is also the birthday of William Shakespeare. Mr. Shakespeare was pretty well acquainted with - among one or two other things - birds. From Blackbird to Wren more than forty strut, twitter, shriek, sing and soar throughout his works! Stylish new Desert Cities Bird Club caps available! The new bird club caps are very high quality and really cool. Each features a very detailed embroidered bird on the front of the cap and the club name in small letters at the back. Many species are available including the Barn Owl, Bals Eagle, Greater Roadrunner, California Condor, Ivory-billed Woodpecker, Peregrine Falcon, Anna’s Hummingbird, Wood Duck, Gambel’s Quail and more. There is even a collared lizard! Be the first on your block to sport a DCBC cap, now available for only $15 each. If you love hummingbirds, and who doesn't, don't miss Hummingbirds of the Southwest on March 18, Friday, 7-8 p.m. It is a free lecture by Kurt Leuschner on at Blackrock Campground in Joshua Tree National Park. Sponsored by the Desert Institute. ABA book sales are now at buteobooks.com. It is a great place to order bird books of all kinds. Inca Doves have been residing in Heather Hurley’s yard in Indio for the second year in a row. If you liked the recently released Guide to Golf Course Wildlife, you are going to love the new S. Cal Coastal guide as well as the Guide to Wildlife at the Santa Rosa and San Jacinto Mountains National Monument. They are all available now at Barnes and Noble as well as various visitor’s centers in the area. If you have used field guides, wildlife magazines or other bird related things to donate, call (760) 349-3515 and we will arrange pick up. Check our blog for the latest birding updates. The Coachella Valley Preserve is home to the 2nd largest California Fan Palm oasis. Guided bird walks are ongoing through late Spring. Days vary, so call Mark Leggett at 760 699-5717 or CVP at 760 343-2733 for schedules and more. www.coachellavalleypreserve.org. The San Diego Bird Festival March 3-6 features desert, mountain, seashore and pelagic adventures. Canyon, Big Morongo and the Salton Sea. second Thursday of each month. October- May. The Coachella Valley Preserve has weekly bird walks. Birdlife of the Eastern Mojave - Spring Migration is weekend birding course at the Zzyzx Desert Studies Center. The weekend course begins with a Friday evening discussion on the diversity and natural history of birds in arid environments. On Saturday, participants visit oases at Baker, Salt Creek, Saratoga Springs (located in Death Valley National Park), and Tecopa Marsh. Casual hikes around the Desert Studies Center afford further opportunities to observe birds during early morning hours and at dusk. Beginners learn field observation and identification techniques. Experienced birders can expand their life lists. dormitory style lodging and 5 meals. It’s a great way to learn general desert natural history. All birding abilities are welcome. mountain, seashore and pelagic adventures.